It is 2 km from the airport but they come for you with a car. Good possibility for trips. 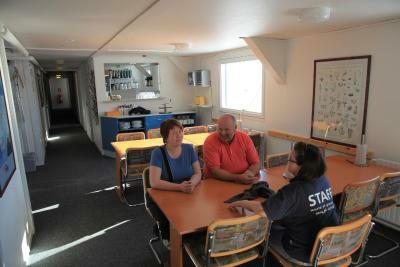 Superfriendly staff and tour guides, I really enjoyed all the time I spent there. I've got my own room because of a messy guy who was supposed to be my roommate :)) Possible to book different tours or table at the restaurant (including shuttle bus). There is also an airport transfer included which I really appreciated. Awesome fresh breakfast included aswell. Nice and helpful stuff! The place was quiet and calm. There is a free shuttle from/to airport. 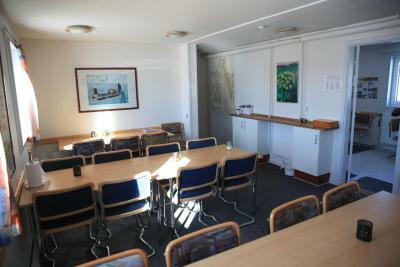 Clean and friendly place, which offered hostel style living, with a kitchen, lounge and dining room. 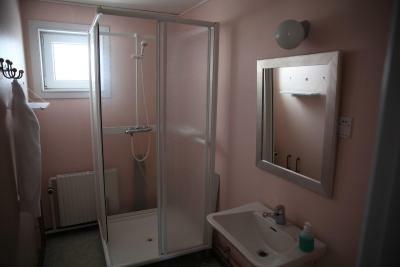 The shared bathroom facility worked okay, but may not suit all. The location was a little out of the centre, but this can be seen as a bonus, as it is quite quiet, and there is a half hourly bus into 'town'. The staff is very nice. The location is interesting. Window in the room has a mosquito net which is really necessary and made a good job. Breakfast basic but good. Transportation to the airport was good, without luggage you can also walk to the airport and supermarket and the few shops around. They take you (to and from there back) to the restaurant by the lake which is very expensive but very good, too. Excepcional location, we walked there but it was a bit far. 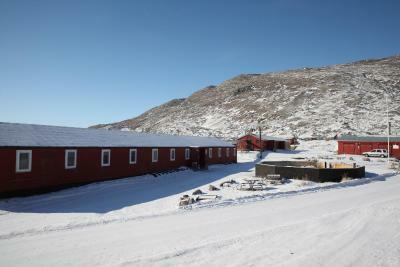 Old Camp is located in Kangerlussuaq, on the south-western coast of Greenland, and features a garden. Wi-Fi access is available. 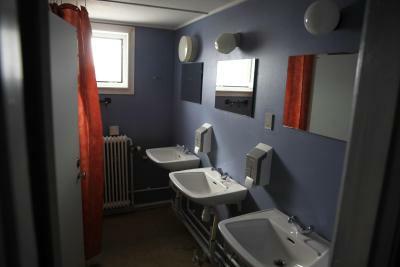 The basic style rooms have a wardrobe and desk. Bathrooms are shared. 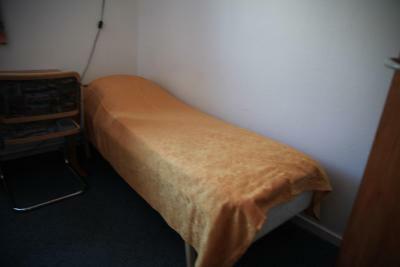 Bed linen and towels are included in your stay. 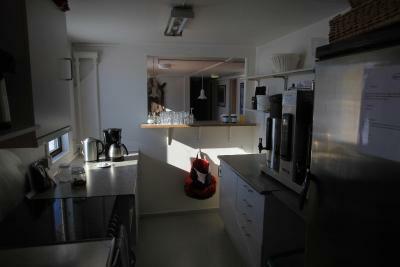 Guests also have access to a shared kitchen and garden. 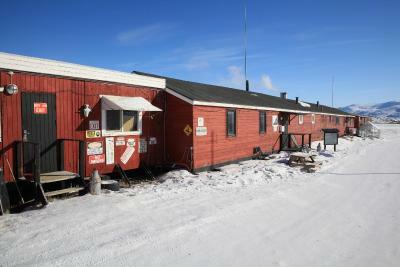 At Old Camp guests can also make use of the free shuttle service and tour desk. 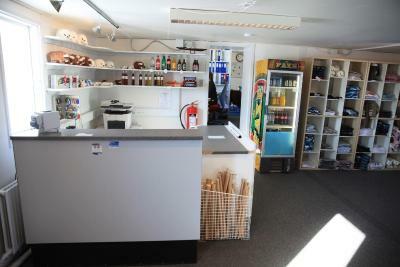 The reception area features a small gift shop. 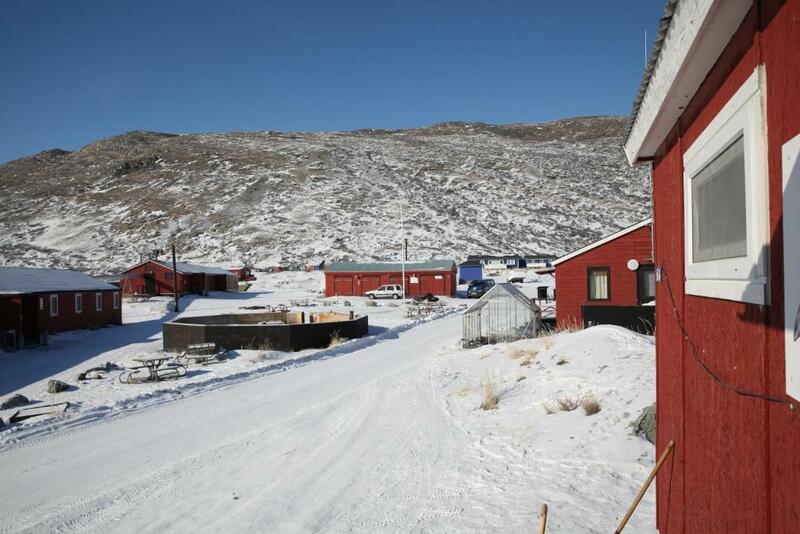 Kangerlussuaq Airport is 1.2 miles away. Free parking is available at Old Camp. 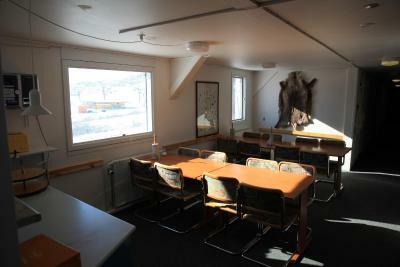 This property also has one of the best-rated locations in Kangerlussuaq! Guests are happier about it compared to other properties in the area. 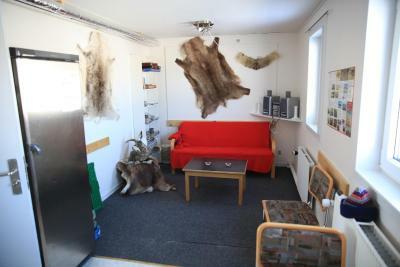 This property is also rated for the best value in Kangerlussuaq! Guests are getting more for their money when compared to other properties in this city. Old Camp has been welcoming Booking.com guests since 10 Apr 2014. 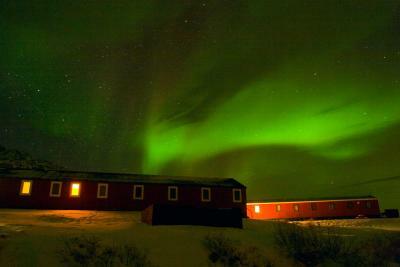 When would you like to stay at Old Camp? 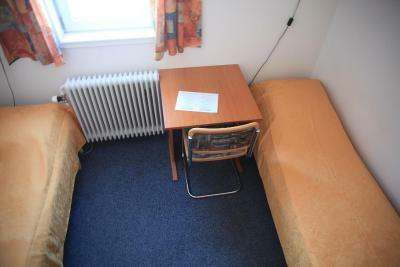 This twin/double room has a wardrobe, desk and view. House rules Old Camp takes special requests - add in the next step! One child under 12 years is charged DKK 275 per person per night when using existing beds. 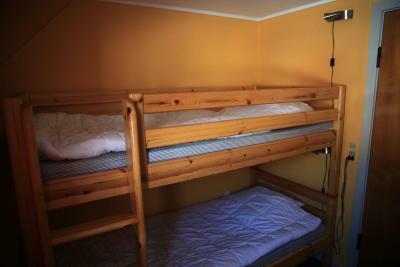 One older child or adult is charged DKK 450 per person per night when using existing beds. Old Camp accepts these cards and reserves the right to temporarily hold an amount prior to arrival. Please note that the free shuttle service is for pick-up and drop-off only. Breakfast was acceptable and fresh but very basic. WiFi was expensive and rooms were ok size for one person but would have been very cramped for two. The company was only interested to sell their own offers. They didn't want to answer questions about alternativ offers; e.g. they don't support you to get a bicycle to rent respectively they deny, that you will get bicycles in Kangerlussuaq. Too hot in the building however the weather was fresh. Accomodation is very basic. Internet is expensive. Most helpful staff and free airport pickup. 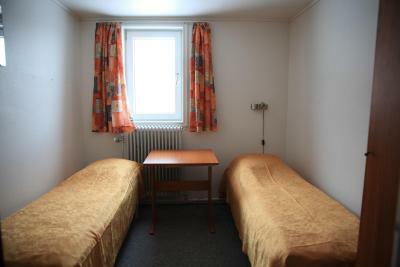 A bit far away from everything.to take into account if you want to go to the airport or to the city center. No shuttle to all the hours. The bathroom was full of mosquitos and not very clean. I finally decided not to take a shower… It was very hot in the room and there was light the whole night trough - should get better curtains. The pillows and the mattress were pretty unconfortable. The whole little village seems to be "owned" by the ones who run the Old Camp. They are also in charge of the local tour company and work together with the restaurant, so there is lack of competition. Although the pick up service and general transfer were great, there was a lack of flexibility regarding the check-out time (very early at 09.00 am) and the airport transfer on the way to the airport (only available at 09.00 and no alternative offered). The one receiving us wasn"t too helpful. We had no way of knowing where to have dinner,we only had one option of a very expensive dinner,no possibilities for transport,everything else was closed. We walked all the way to the Airport,where we got a meal. Communication was poor.